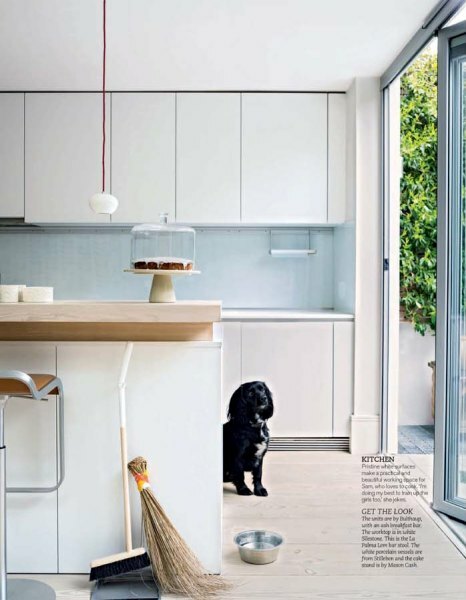 How to star in a magazine | The Decor Cafe | Interiors. Gardens. Lifestyle. Home business. 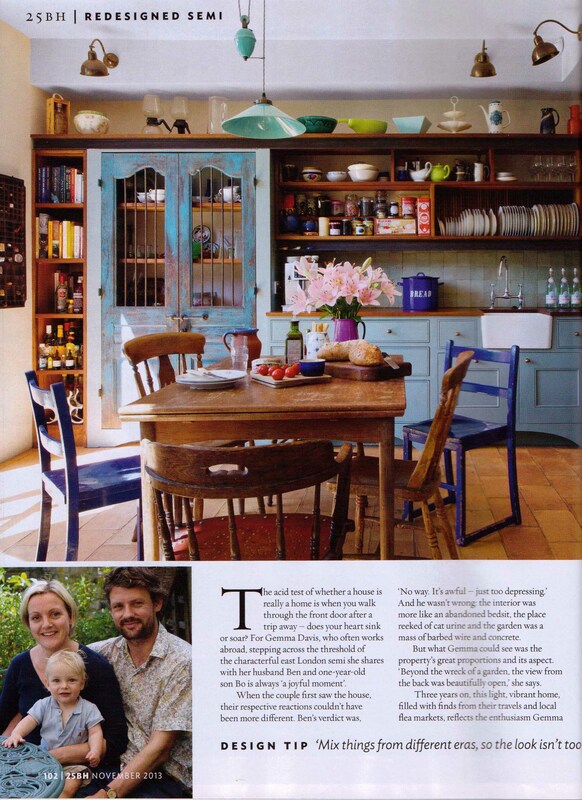 The March issue of House Beautiful is a very special one, because it features the home of decorclub member Kim Marshall. Kim came to the decorcafe create your home workshop as a self-confessed novice and found the confidence to decorate her newly renovated farmhouse with a truly expert eye. Kim isn’t one of life’s attention seekers, so how did she get her home – not to mention her holiday-let business – this kind of coverage? Well, she was put in touch with me via the lovely Debbie Blott. 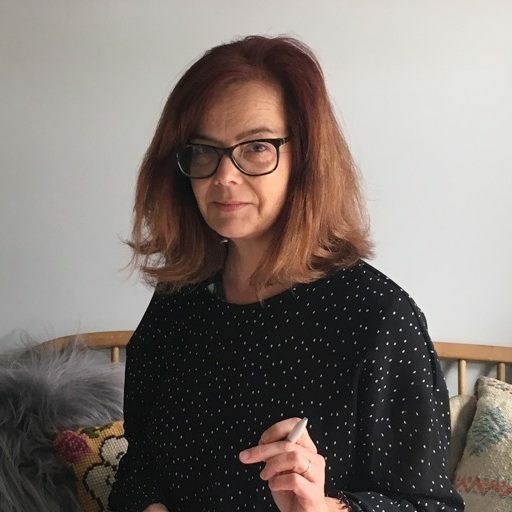 My name is Jo Leevers (www.joleevers.wordpress.com) and I write features for a range of interiors magazines, including Livingetc, House Beautiful, You (Mail On Sunday), Country Living, 25 Beautiful Homes and Real Homes. So when Debbie told me about Kim I knew that House Beautiful would love her home. The finished feature is a celebration of all that Kim and her husband have achieved. Consider yourself well and truly congratulated, Kim! If you’re ever wondered how to go about getting your home into print, I’ll be at the decorcafe decorfest on March 23rd to explain what it involves. But, if you can’t wait until then, here’s a quick run-through of what usually happens. And, no, as Kim can testify, it isn’t scary or painful (unless you count standing in the November wind and rain, pretending it’s actually a bright spring day…). The first stage is often when a kind person (like Debbie) puts me in touch with a homeowner. Other people also get in touch with me directly, or I might contact a particular designer or maker if their work catches my eye. There’s never any pressure, and I’m always very conscious that a home is, above all, a much-loved family space and treat it with respect. 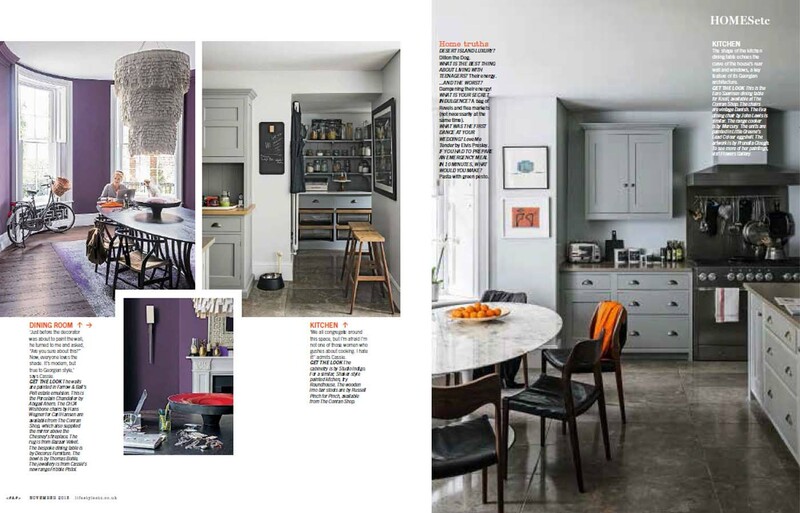 You don’t have to be an interior designer or a celebrity (although I did get some good stories from an ex-Beastie Boy for Livingetc). Most people, like Kim, are simply passionate about making their own homes look fantastic. 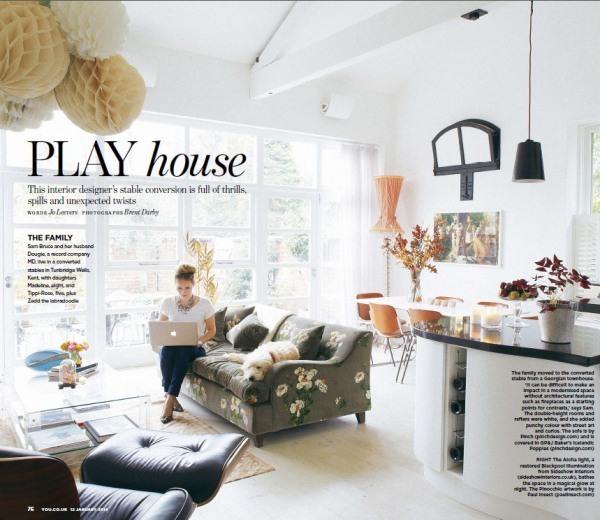 Sam’s south London home, which appeared in Livingetc, is a great example. In many cases, the house doesn’t have to be show-home perfect: Gemma’s east London home isn’t all sleek, shiny surfaces, but her warm, quirky style caught the attention of 25 Beautiful Homes. Maybe you’re into re-upholstery, or have transformed pieces of furniture with paint treatments. You might have just completed an extension and are breathing a sigh of relief that you no longer have to make round of builders’ tea several times a day. Or it could be that your friends have told you, “Oh, your house could be in a magazine” (because we Brits are still notoriously modest, but visitors can see things with a fresh eye). Unbelievably, it hadn’t occurred to Cassie that her London home was photoshoot-worthy, until the gentleman supplying her rugs suggested it. By now, you might be wondering what, aside from leaving a few copies of the magazine around when your mother-in-law visits, are the benefits to you? It can be a very effective way to promote your own business, whether you’re a designer-maker or run a cupcake business. Cassie was just about to launch her own jewellery line and got a lot of interest after the feature. A feature showcasing your skills or mentioning your business (with a website address) can function like an advertisement – but without the hefty rates. It’s all free. Most magazines now post features online too, so readers can click straight through to your website. 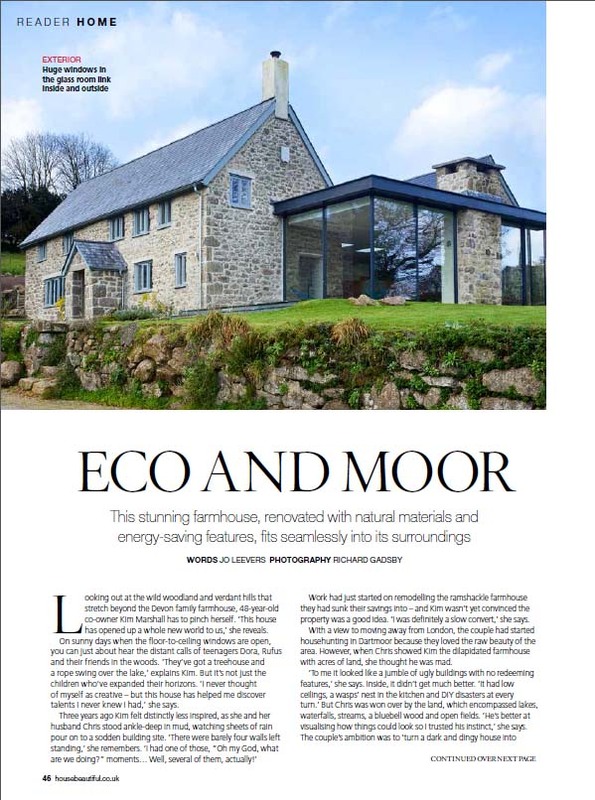 If you’re thinking of moving house in the future, a magazine article can be a great way to create a ready-made brochure ahead of the estate agents tramping through your home, plus it comes with the seal of approval of a high-end magazine. 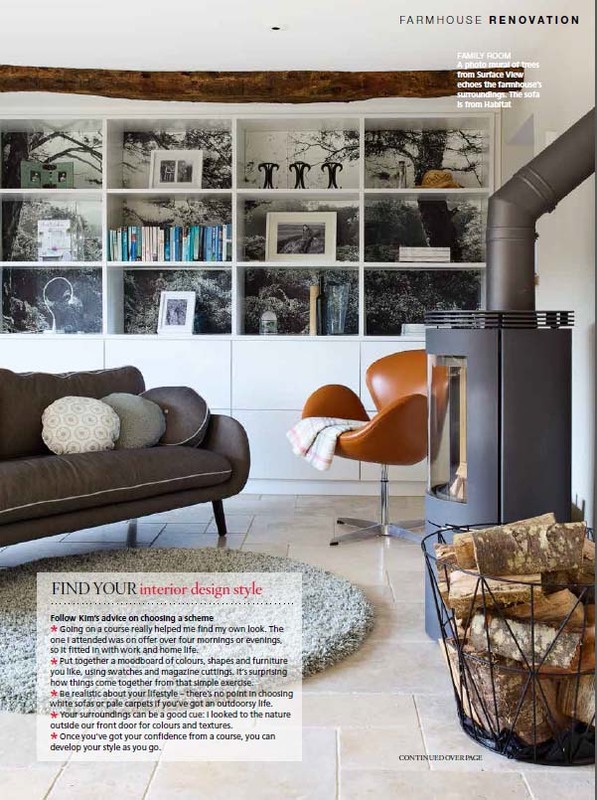 Quite simply, a magazine feature can be a fantastic way to celebrate the end result of months of hard work and upheaval that come with any home project. 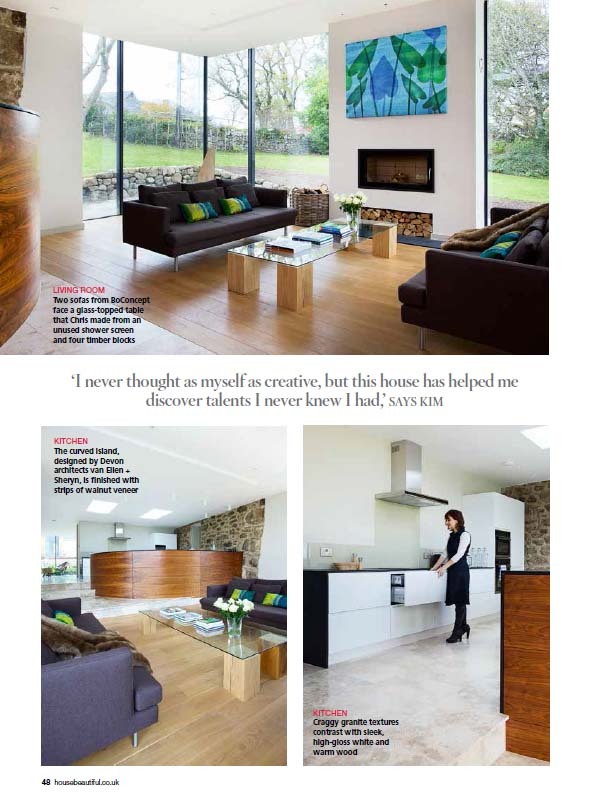 Sam completely revamped her Kent home and wanted to mark the end of the project in YOU magazine. And she’s also launching her own design service. If this sounds interesting, all you have to do is get in touch with me. Once we’ve had a chat and I’ve got an idea of your style, I come along and take a set of ‘recce’ shots. Then, after consulting you, I approach the editors I think your home is best suited to. You need to set aside a convenient day for the photographer to come along and a bit of time for the interview. By the way, I always let homeowners see the finished feature before I send it in, to make absolutely sure you’re happy with it. Please take a look at my recent cuttings at www www..joleevers.wordpress.com follow me on Twitter @joleevers and come and meet me at the decorcafe decorfest on Sunday 23rd March 2014. Even better, come along to the Decorfest on Sunday 23rd March – it’s sure to be a truly inspiring event. Plenty of ideas to help you in your project. I have recently extended my lovely semi-detached house in Goring By Sea and I was wondering how I could share the finished house with others. I love my house especially my Telephone Box shower / bathroom, my zebra style quirky bathroom and my collection of archways that link rooms together. I would love someone to come and look at the house and tell me what they think. Thanks so much for your email – I’ll email you directly, but I’m always on the lookout for lovely homes for magazine features. Hi, we have a been restoring and renovating our 6 bedroom end of terrace house in East Sussex for several years and would love to see if it was something that might be featured in an interiors magazine? I have some “before” and ”after” photos I can email onto you?